Using the D-Wave 2000Q™ system, service will start with a focus on retail staff scheduling and shipping route optimization. Fukuoka, Japan : Groovenauts, Inc. (CEO: Eihiro Saishu), developers of the non-programming machine learning service MAGELLAN BLOCKS, will release the world’s first business optimization service using the D-Wave 2000Q quantum computer via the cloud. 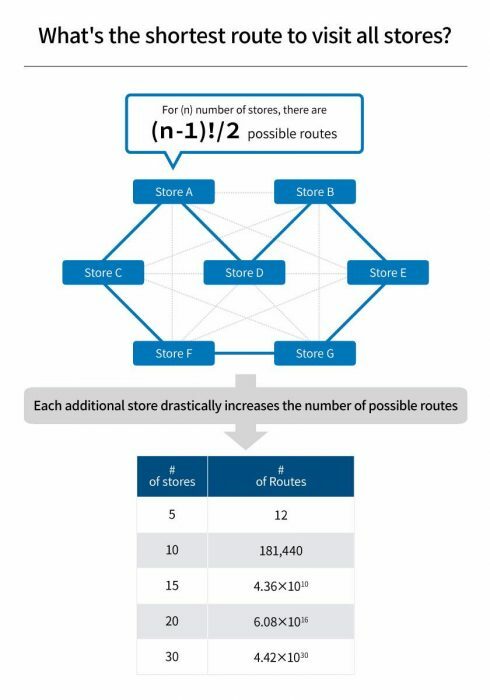 The service will analyze vast numbers of numerical combinations to find optimal shipping routes and staff schedules. Tasks like planning staff schedules to avoid overworking or finding the shortest possible shipping routes—which require significant manpower to solve—will be more efficient and accurate with this service than with procedures used by customers today. Groovenauts will release a beta version of this new optimization service in April, 2019. Groovenauts will start by releasing a shipping optimization package which will also use their machine learning technology. Users will be able to predict for values like sales, profits, or production output, and then use the D-Wave 2000Q quantum computer to calculate an efficient shipping route based on those results. This shipping optimization package represents the first business service enabled by a quantum computer. Groovenauts plans to release more optimization packages for staff scheduling, machinery deployment, and other use cases in the future. Groovenauts is a tech company on a mission to democratize technology. 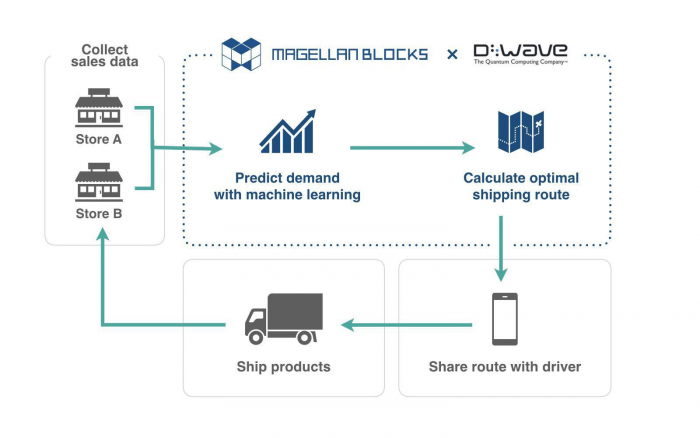 With their cloud service, MAGELLAN BLOCKS, companies of all sizes are using machine learning to make accurate predictions without the need for programming ability or AI expertise. Learn more at https://www.magellanic-clouds.com/blocks/. Rather than store information using bits represented by 0s or 1s as conventional digital computers do, quantum computers use quantum bits, or qubits, to encode information as 0s, 1s, or both at the same time. This superposition of states—along with the other quantum mechanical phenomena of entanglement and tunneling—enables quantum computers to manipulate enormous combinations of states at once. To learn more, visit: https://www.dwavesys.com/quantum-computing.